Materials used: Nitrile Rubber, Viton A, Neoprene Rubber etc. We are manufacturing high quality Plain Washers (both punched and machined). 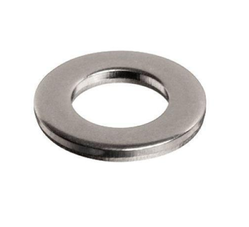 These washers are also known as Flat washers/ Round washers/ Plate washers etc. With a firm commitment to quality, we are involved in offering a wide ambit of Round Nylon Washer. 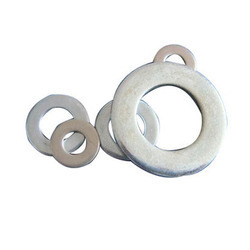 With an aim to satisfy our quality-oriented clients, we provide superior quality SS Round Washer made using quality tested ingredients and modern machinery. We are a leading manufacturer and suppliers of high quality Washers for meeting the needs of clients. Our products are manufactured using premium quality raw materials. We offer quality tested products stringently checked on varied parameters by our expert professionals. These are manufactured using high quality resources and we also ensure the quality is maintained.